* Behind the Scenes with Scooby-Doo and the WWE Gang: A behind the scenes look at the voice recording sessions with the cast of WWE. 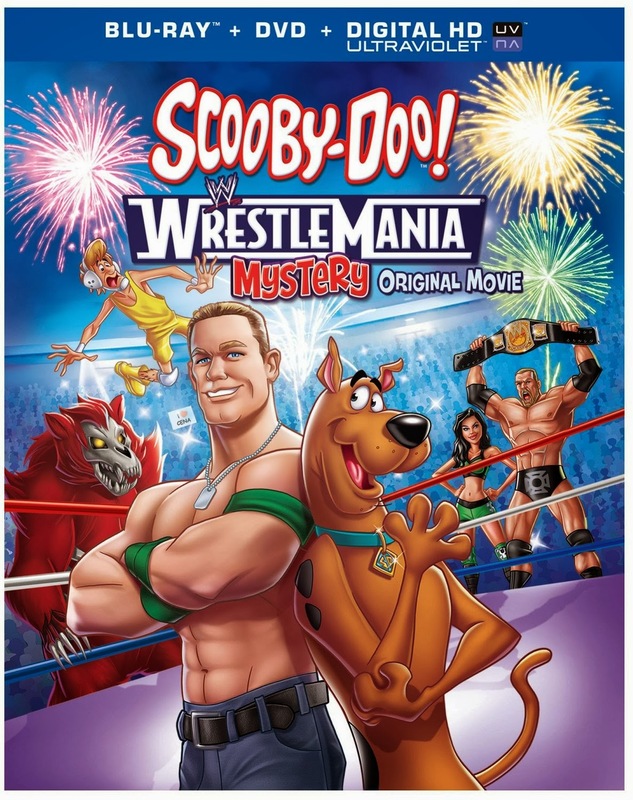 * Wrestle Maniacs: Bonus "A Pup Named Scooby-Doo" Episode. "This all-new original movie delivers endless action with Scooby-Doo, Shaggy and the rest of the gang! 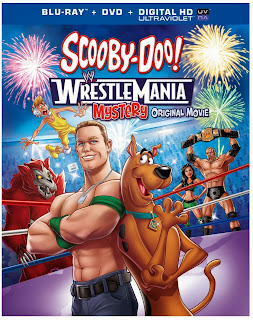 The mystery begins when Shaggy and Scooby win tickets to WrestleMania and convince the crew to go with them to WWE City. But this city harbors a spooky secret – a ghastly Ghost Bear holds the town in his terrifying grip! To protect the coveted WWE Championship Title, the gang gets help from WWE Superstars like John Cena, Triple H, Sin Cara, Brodus Clay, AJ Lee, The Miz and Kane. Watch Scooby and the gang grapple with solving this case before it's too late."